U.S. Treasury yields moved up in response to the Fed minutes release, which kept alive the possibility of a summer rate-hike. 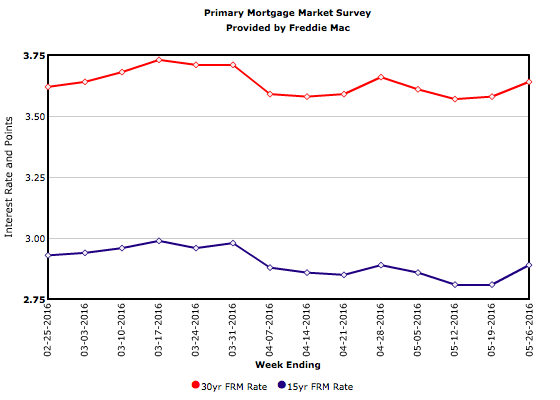 Mortgage rates followed, with the 30-year fixed-rate mortgage increasing 6 basis points to 3.64 percent. Despite this increase, May ends the month averaging only 3.60 percent, 1 basis point below April’s average, and the lowest monthly average in 3 years.